We have an ever-evolving selection of curated wines, beer, and more to please every palate. Come in to the shop for a hand-picked recommendation, or to see the latest unique, local, and organic offerings. When you run a busy restaurant (Baldwin’s Station right across the street) you must create a wine list that includes well-known or popular wines from vineyards that have large enough inventory to ensure a constant supply. However, we are fortunate to also be in the unique position to work with our wine reps who love to share their new favorites, lesser known or smaller batch wines with us. In turn, we are happy to share these “finds” with you so you can confidently try something new without the fear of failure. Our wines come from all over the world and range from many popular names (19 Crimes, Hob Nob, Fetzer, Coppola, etc.) to small batch vineyards that are exceptional value but less well-known. Along with “standards” like Chardonnay and Sauvignon Blanc, Merlot and Pinot Noir, we also have the more unusual like dry Rosé, Chocolate Wine, Sangrias, Pinotage, Carmenere, and Sparkling Wines. We always offer complimentary wine tastings to help you discover your favorites. 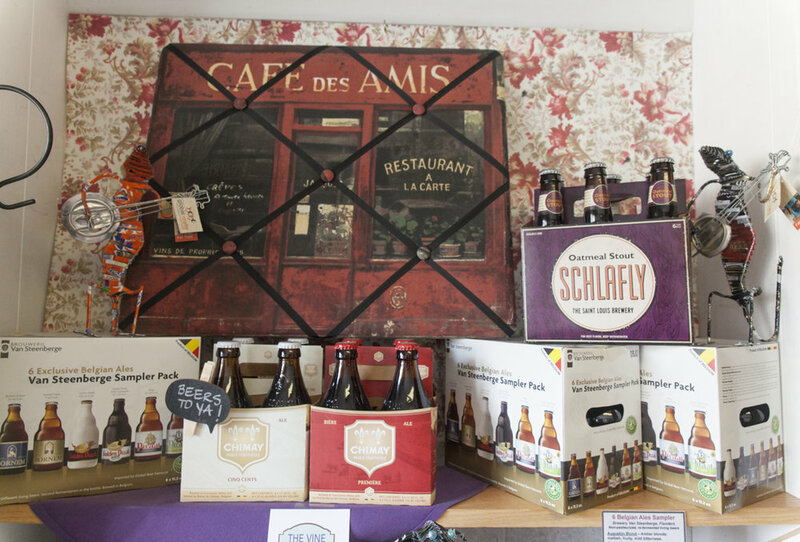 We have a wide selection of craft beer ranging from Belgian ales, IPA’s, Wheat Beers, and experimental brews. We carry local brews like Flying Dog, DuClaw, Manor Hill and Jailbreak as well as popular brews like Blue Moon, UFO, Chimay, etc. We also offer hard ciders, hard sodas, and spiked and sparkling waters if you have a taste for something on the lighter side or gluten free. 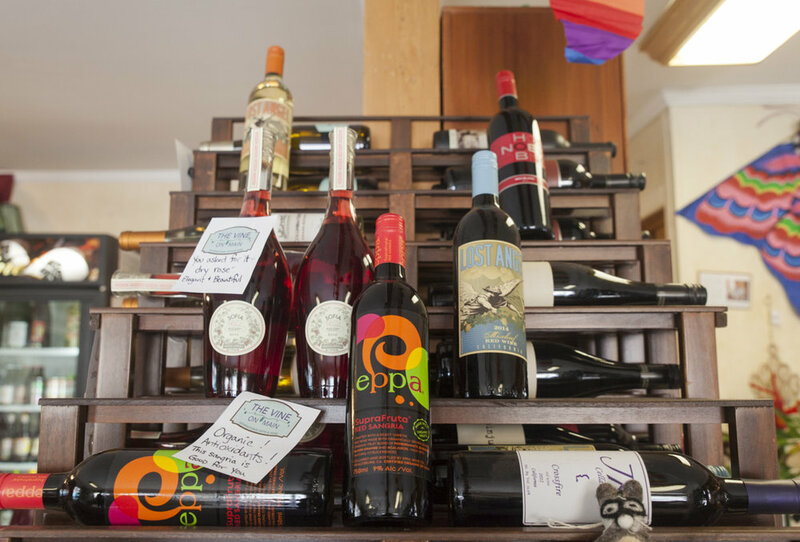 Not only do we have fair trade gifts, we have also branched out to include Certified Fair Trade wines. We personally feel good about being able to offer this rare selection; our guess is that you will be able to learn about and discover some new wines and grapes that you haven’t even heard of before! It started (as much of the impetus behind our inventory does) with a customer asking “Do you have any Pinotage? I spent time in South Africa and it is a wonderful wine but I have never been able to find it around here.” Well, we consider that a positive challenge and yes, now we do have a Pinotage from South Africa and it is wonderful. We also have Shiraz and Chenin Blanc from South Africa – all organic and fair trade.